Spring loaded to counteract the highest winds, the Waterbase Sign is the ultimate pavement sign. The base can be filled with water to provide a stable footing for the sign and wheels are incorporated into the base for easy. 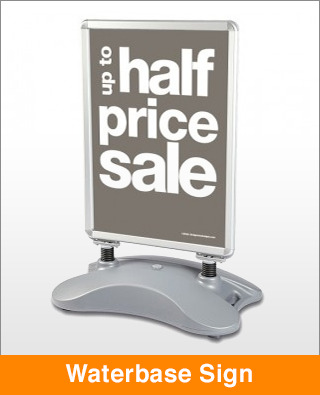 Supplied with 2 full colour, high quality encapsulated posters.